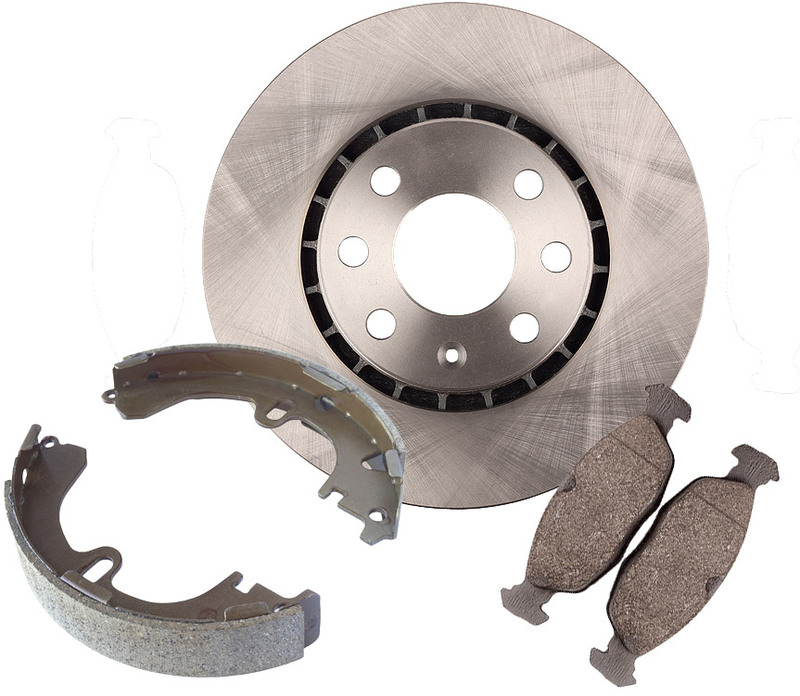 A brake shoe is the part of a braking system which carries the brake lining In the drum brakes used on automobiles, or the brake block in train brakes and bicycle brakes. The brake shoe carries the brake lining, which is riveted or glued to the shoe. When the brake is applied, the shoe moves and presses the lining against the inside of the drum. The friction between lining and drum provides the braking effort. Energy is dissipated as heat. The reason for retaining drums at the rear is that a drum is more effective than a disc as a parking brake.